An initial report about the Sahiwal tragedy submitted to the Punjab chief minister by a joint investigation team (JIT) has held the Counter-Terrorism Department officials responsible for murder of three ‘innocent’ members of the same family. “Directions have been issued to present five officials of CTD involved in encounter in an anti-terrorist court after being challaned in the case,” Law Minister Raja Basharat told a press conference along with Senior Minister Abdul Aleem Khan at the Chief Minister’s Office. The minister said that in the light of the inquiry report, it has been decided to initiate action against Additional IG Operations Punjab, Additional IG CTD Punjab, DIG CTD, SSP CTD and DSP CTD Sahiwal. He said that Additional IG Operations has been immediately removed from his post and directed to report to the federal government. “Additional IG CTD has been immediately removed from his post. DIG CTD has also been removed from the post and directed to report to the federal government. The SSP CTD and DSP CTD Sahiwal Region have been suspended,” the minister revealed. Basharat said the JIT has requested for more time to collect evidences and present facts about Zeeshan Javaid, the fourth person killed in the CTD operation who the agency alleges has links with a terrorist outfit. “It is our commitment with the nation that we have to fulfill the requisites of justice and leave no stone unturned to provide justice to the affected family,” he said, adding that the provincial government will treat the incident as a ‘test case’ and ensure that justice is done. When asked if the operation was correct or not by a reporter, the law minister responded, “The operation was 100 per cent correct.” He added that facts about the case would be revealed to the media during Wednesday’s in-camera briefing. The minister said that in the past, people struggled long for justice but could not get the same. He said it is the commitment of the present government to ensure provision of justice to everyone. He said that armed forces and law enforcement agencies have rendered unprecedented sacrifices for eradication of terrorism from the country. 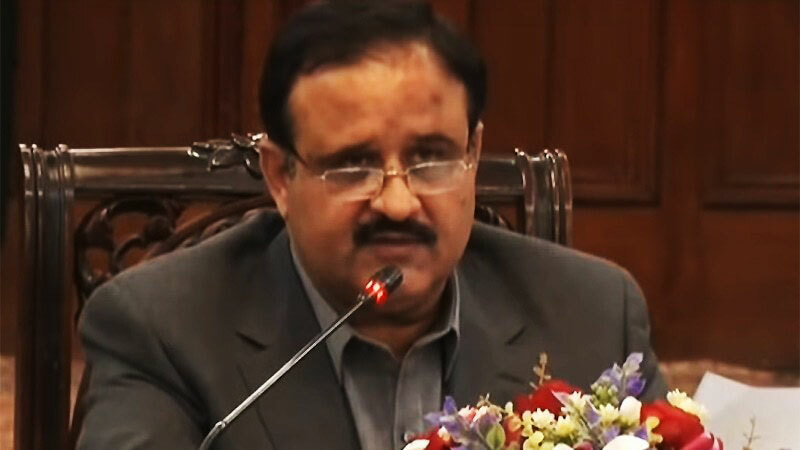 A high-level meeting headed by Chief Minister Usman Buzdar was held to review the report and receive a briefing from the JIT head. Besides Raja Basharat, Abdul Aleem Khan, the chief secretary and additional chief secretary for home, Punjab Inspector General of Police Amjad Javed Saleemi as well top officials from relevant agencies attended the meeting. Earlier in the day, while speaking to reporters, AIG Ejaz Shah said the report could not be considered a ‘final report’. He said a comprehensive report on a tragedy of this nature could not be completed in two or three days. According to the AIG, six personnel of the CTD have been taken into custody and are being questioned. He added that the JIT team had recorded the statements of five eyewitnesses.